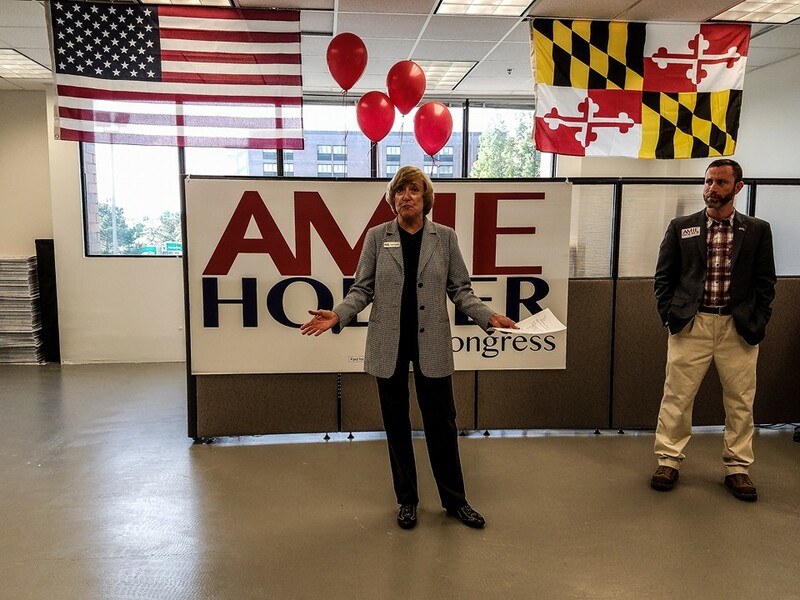 Over fifty eager Western Marylanders joined Amie Hoeber on a humid summer evening in June for the opening of her congressional campaign office on Buckeystown Pike in Frederick, the geographical heart, as some point out, of Maryland’s 6th Congressional District. Amie Hoeber’s congressional campaign officially opened its campaign office to the public last evening in a ceremony that featured a buffet-style of classic Americana cuisine, including BBQ, potato salad, cold drinks, lemonade, cookies, brownies and veggie trays. The food was delectable! Several notable local Republican officials attended the low-key high-energy congressional office kickoff, including Frederick County councilman Billy Shreve, Maryland delegate David Vogt, county Republican Club presidents Mark Schaff (Frederick) and Ginger Bigelow (Washington), and numerous elected Republican Central Committee members (Jim Warner, Seth Wilson, Cindy Schaff, Michael Hill, etc.). Also spotted in the audience was Jamie and Cindy Rose. Mrs. Rose is a candidate for the Frederick County Board of Education. Hoeber’s campaign office will also be shared with the Frederick County Republican Central Committee, the Republican Club of Frederick County, the Young Republicans, women’s’ Republican groups as well as U.S. Senate candidate Kathy Szeliga, Maryland’s 8th Congressional District Republican nominee Dan Cox, and other Republican groups who need a reliable space for campaign-related activities in the lead up to the November 8 general election. Opening remarks began precisely at 5:00 p.m. True to form, the now beard-sporting former Marine, Del. David Vogt, wearing his trademark Marine combat boots, kicked off the event with warm remarks about Hoeber’s opportunity to take back the district. Vogt went on to thank volunteers and supporters for working so hard to retake the 6th Congressional District on behalf of the Republican Hoeber. Since Hoeber won the Republican primary, David Vogt has become her right-hand man, going above and beyond in helping the Hoeber campaign as her top Republican surrogate. Well done, David! Vogt concluded his remarks and introduced Councilman Billy Shreve. The Republican councilman, also the leader of the Frederick County Republican Central Committee, described Frederick as being “the center of the universe” within congressional district 6. Shreve spoke for a few more minutes and concluded his remarks by detailing the way in which Republicans can win in Maryland. He then introduced Amie Hoeber to the eager audience. Hoeber immediately thanked the volunteers, supporters and staff for all their hard work and support. She expressed her profound gratitude and appreciation for committing to work on her behalf to retake the 6th Congressional District. Then Hoeber did something unexpected but welcomed: she unleashed an unmatched fury never seen before, articulating John Delaney’s pitiful backseat role he’s played in Congress. We have been represented by a congressperson who doesn’t care about national security, who is baffled by the national security problems of our day; he [Delaney] voted for the Iran agreement – misguided and dangerous as it is. It’s an agreement that threatens both us our allies – Israel. He has urged Gov. Hogan to let in Syrian refugees, whether they can be vetted or not. He has voted now eight times to close Guantanamo Bay and move those people into the United States. We need to change this. I will not support any of those measures as we go forward! Her lament of Rep. Delaney didn’t stop there. He has also let us down by sitting on the Congress floor with all of the rest of the people the other day, throwing a kindergarten tantrum. This is no way to run a government! I won’t play stunts like that; that’s not my style, I’ve never done, and I will not condone it. Hoeber was, of course, referencing Delaney’s recent trek and subsequent photo op on the House floor, in which Congressional Democrats staged a publicity stunt, called it a “sit-in” and demanded a bill be passed to halt anybody placed on a suspected terrorist no-fly list from legally purchasing a gun. In other words, John Delaney joined other extremist liberals last week on the House floor – taking a secret break to munch on carry-out Chick-fil-A in nearby room, in a publicity stunt to subvert American citizens’ due process in favor of secret terrorist watch lists – the same lists that innocent American citizens are so often arbitrarily and capriciously added to without any legal recourse. 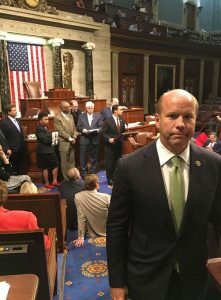 Delaney bizarrely posted this staged photograph onto his social media accounts to recount his heroic congressional bravery. He also rubber stamps most of the mandates that the government puts forward that hampers our small businesses and takes away jobs in this district. He doesn’t apparently care about the people in this district, except the few months before an election. He held his 20th office hour in Cumberland just a few weeks ago, and I think 20 office hours in four years? I’ve been out there more than that in the last month. I won’t forget anybody anywhere in this district! I don’t show up to a BBQ in a suit and tie, like he did two weeks ago. Hoeber concluded her fiery remarks promising to keep us safe as an elected member of Congress. To date, I believe Hoeber’s speech yesterday was her most impassioned speech she’s given to an audience. She was focused, direct and pointed in her remarks, and she is undeniably prepared to take on Delaney in this upcoming general election. I look forward to Hoeber debating Delaney as often as possible. The Hoeber campaign is moving steadily in a promising direction. By hiring Paul Ellington as campaign manager, Hoeber has shown she is aggressively earnest about winning the district back for Republicans. Ellington’s experience and clout in Maryland politics will prove to be vital to her organization. I am also thrilled to learn that Maria Sofia, who was one of the Hoeber campaign’s most active volunteers during the congressional primary, was hired as the campaign’s Field Director. Sofia, whom I know personally and profoundly respect, will bring a fresh perspective to the county-by-county field operations, offering volunteers newfound opportunities to instantly get involved with a winning campaign. Moreover, Maria is exceptionally affable and instantly likable; volunteers will enjoy working with her! 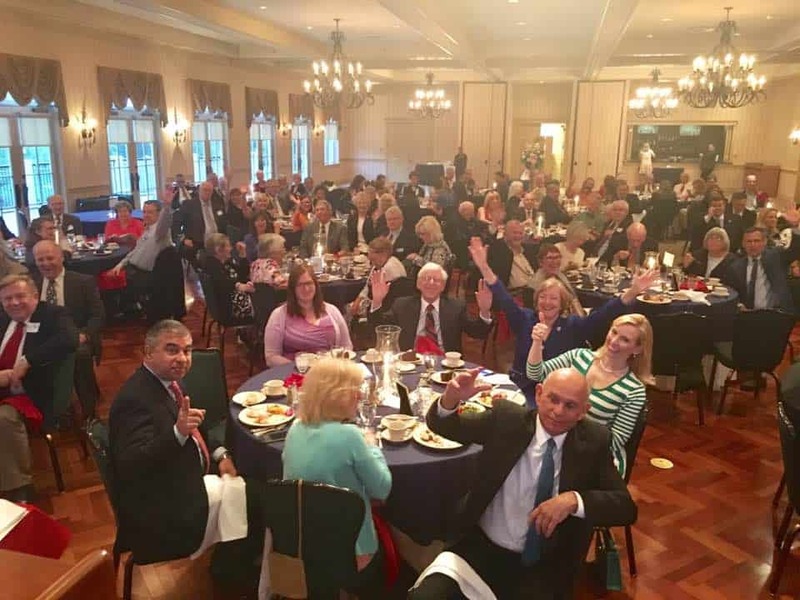 If Hoeber continues to grow her volunteer base and markets her campaign in a way that will attract conservative Democrats, Independents, and ticked-off, anti-establishment voters, November 8 will be a memorable occasion for Western Maryland Republicans. I encourage you to become active in Hoeber’s campaign. Reach out to Maria Sofia or Paul Ellington. Ask how you can get involved – at any level. There is always something to do in a campaign. And be sure to check out Hoeber’s Frederick campaign office at 5301 Buckeystown Pike, Suite 210, Frederick, MD.